← Foca. The song of the sirens. 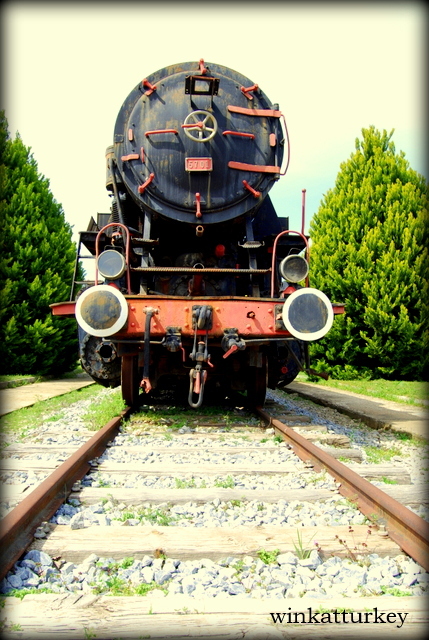 In the village of Çamlık, to 10 minutes Selcuk and very near the historic site of Ephesus, is the museum's outdoor railroad. Created in 1991 is one of the largest collections in Europe. Located on the old train station Pinery that was part of the old line oldest railway Turkey. The site still retains the original buildings. 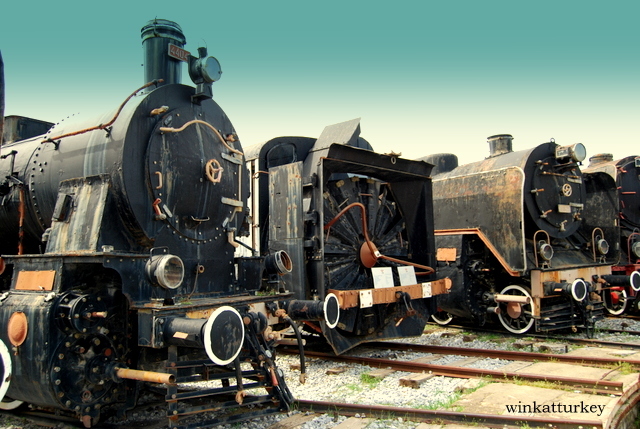 One can stroll through the beautiful gardens in which the museum is, while provides the interesting collection of locomotive, You can even get on them if desired. 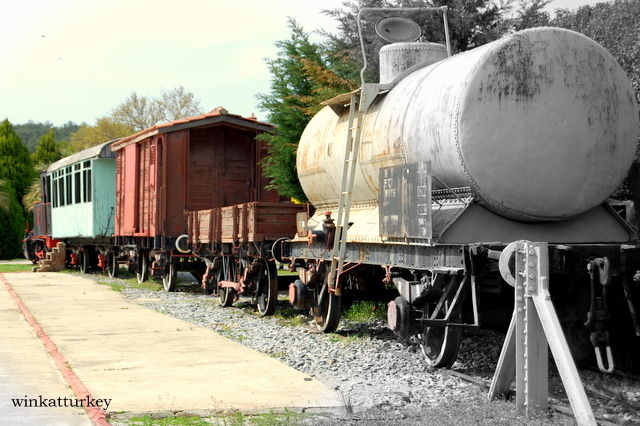 The museum has a huge collection, not only locomotive, but old cars, train rails, different vehicles used in the past at railway stations, water tanks, scales, etc..
For children a great place to enjoy, trains climb, move from car to car, pull the lever that activated the train whistle, finally a site that also arouse their curiosity, They can let their imagination. Exposure can see the great progress that has had this kind of transportation in recent times. 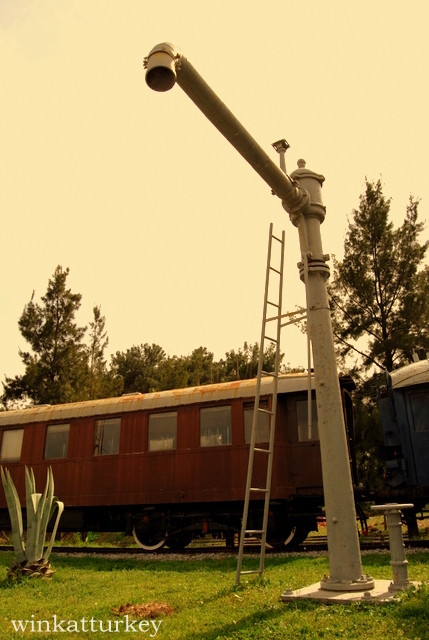 Here we can browse the machinery, coal boilers used once, were formerly observed as the compartments of wagons and discover all sorts of gadgets used in the past, used in this type of facility. At the entrance of the museum in one of the buildings of the station a photo exhibition offered Mustafa Kemal Ataturk, that reminds us how much he used this means of transport. The museum is open daily from 8:00 to 20:00. The price is 5 Tl per person (2´5 Euros). -Driving: We took the exit at the Selçuk Aydın / Denizli highway. A few 12 pasados ​​km Selçuk, when we reached the village of Çamlık, turn right following the signs for "Muzesi station" and about 50 I find m.
-En dolmus (small minibus) from Selçuk, This type of bus is very cheap. 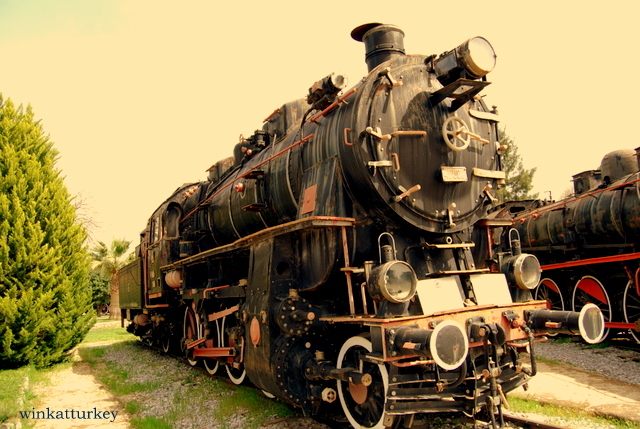 -By train from Izmir to Selcuk, we take the local train to Ortaklar / Aydın and got off at the station Çamlık. Within the gardens there is also a restaurant where you can eat or just have a snack. The museum tlf: (0-232) 8948116. In the museum there is any prospectus, if someone is really interested in knowing the train models and detailed knowledge of the objects that form part of the collection, It can get into the website which is quoted below. Interior of one of the locomotives.